Having a huge fan base, the Tac Force knives are another prominent addition to our collection of cool knives for sale. 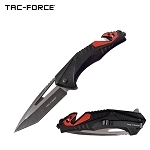 Tac Force, as the name suggests, has got to do with tactics and that’s why many military personnel’s use these knives. 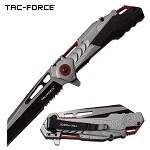 They are designed for tactical purposes. At knife import, you will find different types of Tac Force knives at wholesale price. 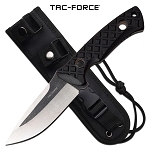 The purpose of use for the Tac Force knives may vary from survival, hunting to self defense. However, all of them require precision and accuracy and keeping that in mind, these knives are designed to prove the best in challenging situations. One of the best Tac Force pocket knives that we have, is the Tac Force speedster model. It is a lightweight and easy to carry pocket knife. The multiple features make the Tac Force speedster stand out from the other knives in this category. 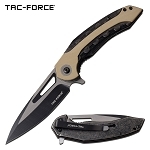 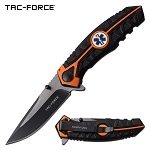 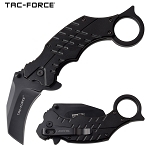 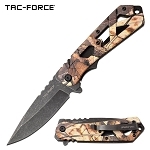 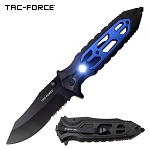 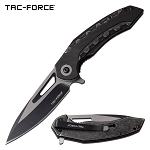 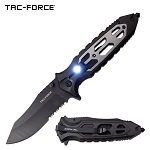 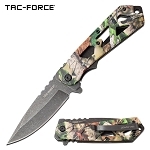 You can buy the Tac Force knives at wholesale price from Knife Import. 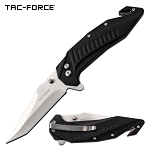 Being the wholesale dealers, we offer rates that you would love. 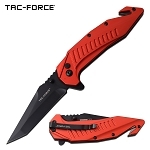 Nothing gets better than having low priced products of good quality. And that’s a promise, all our products are rich in quality and are low priced. 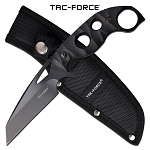 Order your desired Tac Force knives now and feel the difference.